WESTMINSTER, Colo.--(BUSINESS WIRE)-- DigitalGlobe, Inc. (NYSE: DGI), the global leader in Earth imagery and information about our changing planet, today announced that it signed a Direct Access Program (DAP) contract with the Australian Department of Defence. This multi-year agreement will allow the Australian government to access DigitalGlobe’s industry-leading commercial satellite imaging constellation to support defense and intelligence missions. The contract is expected to deliver $83.0 million USD in incremental revenue to DigitalGlobe over four years, beginning in January 2018. 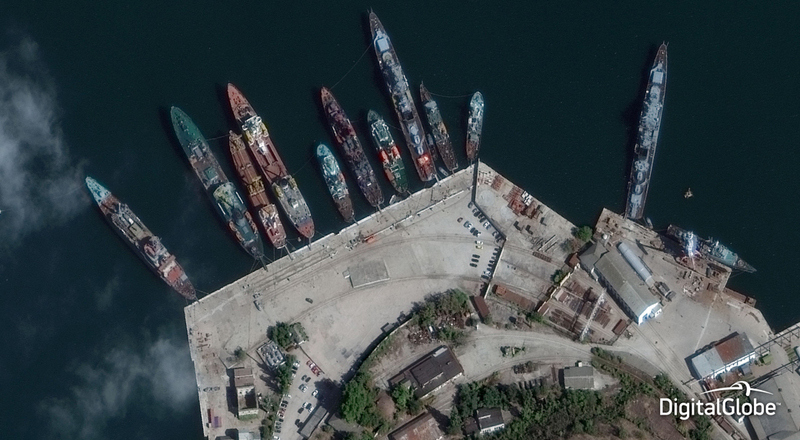 As a DAP partner, the Australian Department of Defence will be able to directly task and download imagery in real-time to its ground station from all five DigitalGlobe satellites—including WorldView-4, launched in November 2016, and WorldView-3, launched in August 2014, which are the world’s two highest-resolution commercial satellites. The addition of Australia—a key ally of the U.S. and member of the Five Eyes intelligence alliance—expands the global footprint of DigitalGlobe’s DAP program and reflects the Australian government’s commitment to increase the use of commercial satellite imagery for its critical national defense and intelligence missions. MDA is a long-standing partner in DigitalGlobe’s Direct Access Program and will be providing the multi-satellite ground system to support tasking, reception and precision processing of imagery from the satellite constellation. VIASAT will provide the ground antenna systems that will enable direct tasking and downlink capabilities.